This Tar tank wagon has the number 1 on it. This wagon which was built in 1898 by Charles Roberts. the wagon came from Slough Estates. 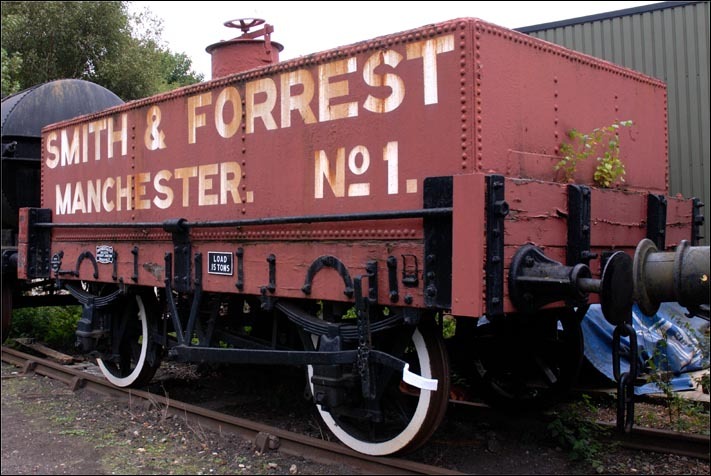 This tank wagon is painted in the colours of Smith and Forrest of Manchester, but this tank wagon may have only been painted plain black at Slough Estates. This tank wagon is one of around 50 railway wagons most of which were built by the great Western Railway or the British Railways Western Region that have been saved at the Didcot Railway Centre that is next to the Didcot mainline railway station.